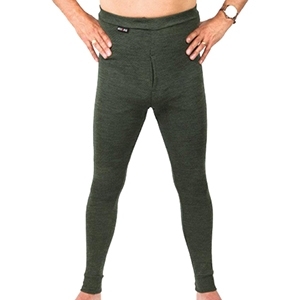 Ussen Extreme Performance Long Johns are a UK-made extreme winter weight thermal long john with fly. Extreme Performance is Ussen's warmest thermal range, ideal for less active sports and extreme sub zero temperatures. A thick amount of fast wicking, thermal polypropylene protects and traps warm air next to the skin and helps your body remain warm in the harshest of conditions. Much warmer and thicker than Ussen's Baltic range, and more suited to those with poor circulations or needs for extra insulation.